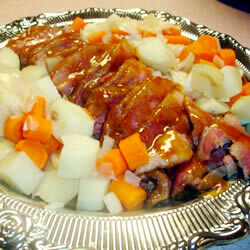 St. Patrick’s Day is approaching so corn beef and hash meals will be popping up all over the place. I am not one for cooked cabbage or corn beef but here is a recipe that I think might just be good. Do you have a favorite Irish recipe you make every year? Did you try this one? Please let me know your thoughts and comments. I would like to try this some time. I remember my mom making it I thought it was to salty but I could be wrong. Love corned beef. Can’t wait to get some for this year. Have never tired it this way though.